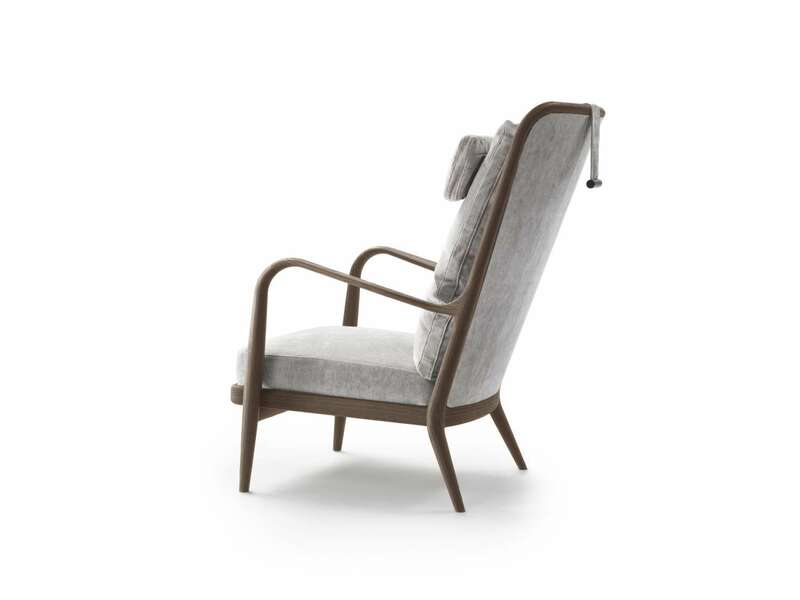 This elegant armchair with a structure in solid wood and soft padding for the seat and back evokes the image of the 1940s. 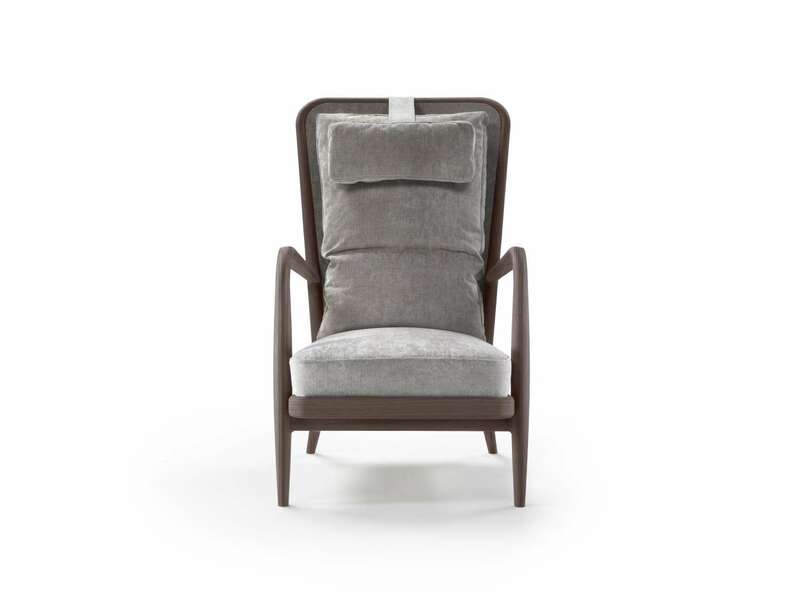 The slender curved wood of the armrests becomes a modern reinterpretation of the forms of memory. The back, enhanced by a natural woven wicker pattern, suggesting the texture of Vienna straw, adds a precious retro touch. 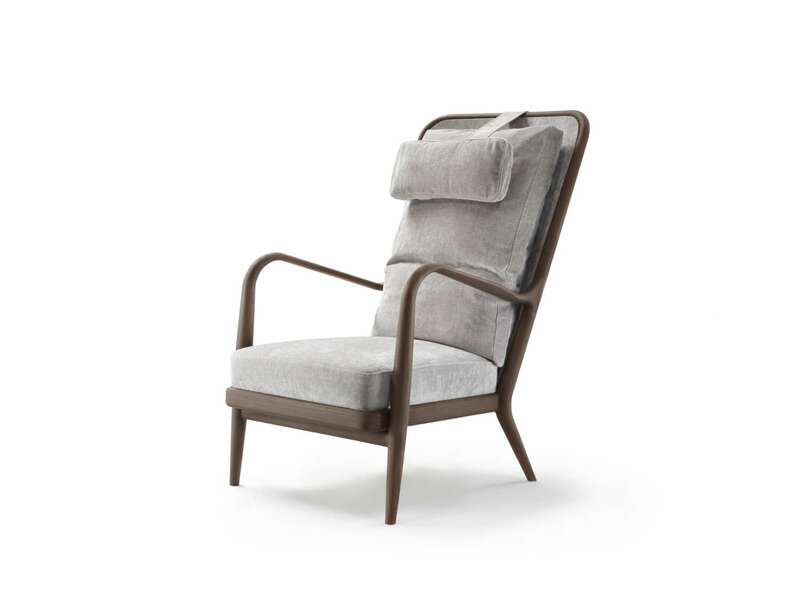 A discreet, warm object, right at home in any space.